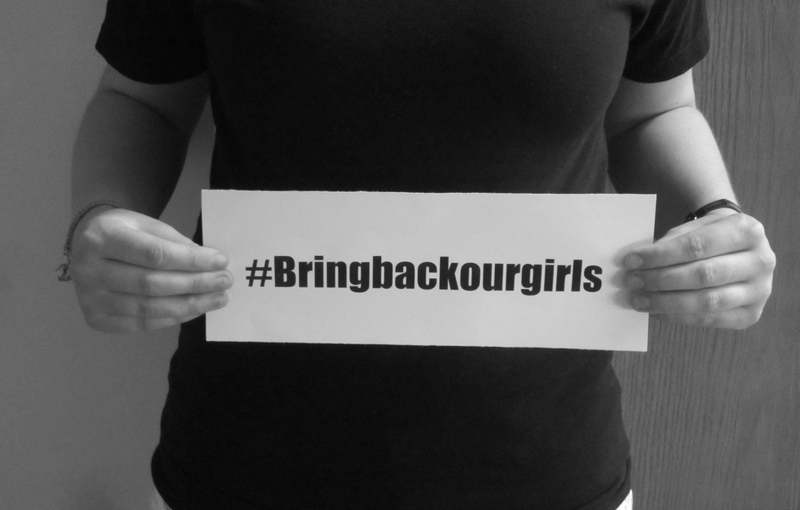 A #Bringbackourgirls sign. Photo by Erica Howes. By: ERICA HOWES 300 Nigerian school girls were kidnapped, Headlines shook the world and twitter hashtags littered our screens. But one month later, It’s not newsworthy anymore. It can only be trending for so long, before people forget or wish too much that they could. Although 300 girls are still missing, A news story cannot use the world “still.” Sometimes the worst news of all, is that nothing has changed. You can feel lost in your own country. It’s a lot harder to be found. Do you remember the last time a child went missing in our country? The police investigations, the amber alerts blaring from screens, mouths, papers. It didn’t stop until she was found. It couldn’t stop until she was found. silent and only noticeable to those who know where to look. #Bringbackourgirls no longer covers screens. Over one month later, their names are still labeled as missing. Telephone poles are naked with nothing but splinters to wear. There’s not enough room to plaster three hundred pictures on each one. We thought there wasn’t enough time. the protests that turned rescue stories. Something must be done before these girls are sold, like slavery is just a tax for not paying your dues. These 300 girls never knew about tax and never knew about dues. But being lost is not an ending to a story. in a country they call their own. that doesn’t mean it’s not worth something.